Meaghan M. Aalto, M.D., will begin working at Memorial next summer. The Chief Resident of the University at Buffalo's Obstetrics and Gynecology Residency Program is joining the medical staff at Niagara Falls Memorial's OB/GYN Center. 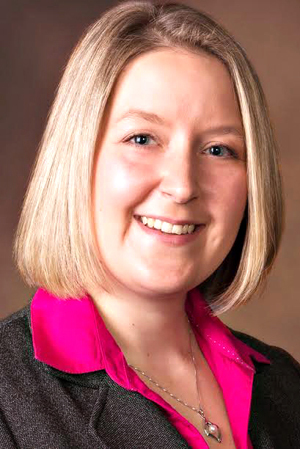 Meaghan M. Aalto, M.D., will begin working at Memorial next summer. An experienced teacher and researcher, she also has been honored for clinical excellence. Dr. Aalto is a graduate of McGill University, Montreal, and Ross University School of Medicine in Dominica, West Indies, where she received highest honors. She has been a primaryinvestigator at the University at Buffalo, a research assistant at Rotman Research Institute, Toronto, and a study coordinator at Montreal General Hospital, Montreal. Her research has been published in several peer reviewed journals including Surgical Science and Journal of Robotic Surgery. Dr. Aalto is a recipient of the Mauricio's Young Professional Award and the Buffalo Gynecologic and Obstetric Society Award for academic and clinical excellence. She is a member of theAmerican College of Obstetricians and Gynecologists and the Arnold P. Gold Foundation, which works with healthcare professionals to instill a culture of respect, dignity and compassion forpatients and professionals.